-George B. Kauffman, California State University, Fresno. The Chemical Educator, (2007): 12, 4, Media Reviews. 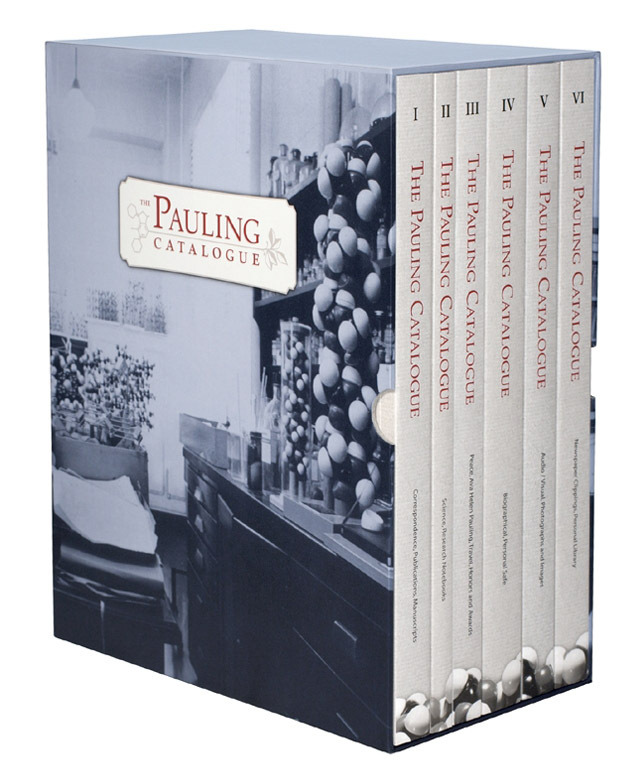 Published in 2006, The Pauling Catalogue represents the culmination of twenty years of work. 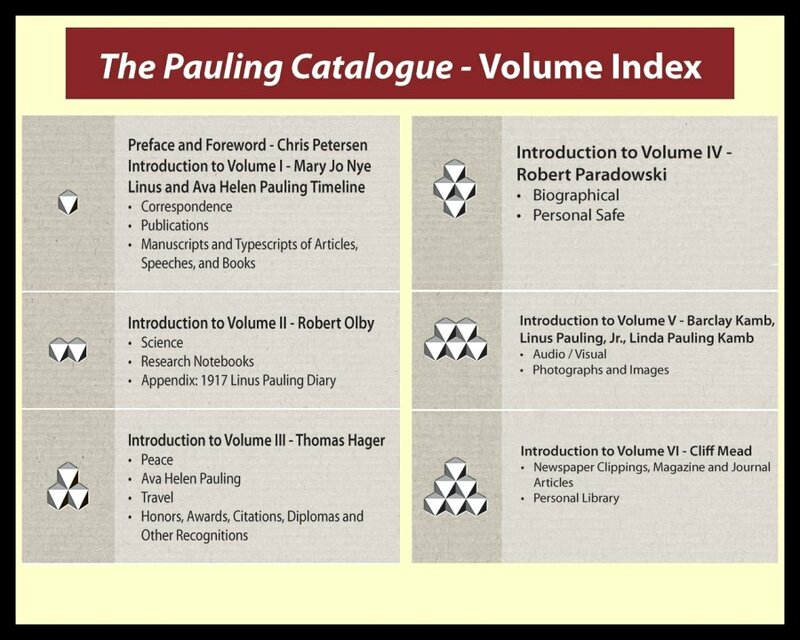 At six volumes and nearly 1,800 pages, the publication is likely among the largest and most detailed archival works ever compiled. 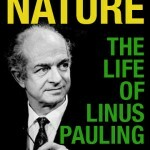 Far from a rote listing of the contents of the Ava Helen and Linus Pauling Papers, The Pauling Catalogue is an authoritative reference work that includes nearly 1,200 illustrations, a forty-five page Chronology of the Paulings’ lives and work, introductions written by Pauling family members and major historians of science alike, and an extensive reproduction of Linus Pauling’s 1917 personal diary, written by a college freshman soon to become one of history’s greatest scientists. The field of “Proteomics” essentially began at the Pauling Institute in the 1980s with our collaboration with Ruedi Aebersold and Lee Hood at CalTech, and work by Steve Burbeck and Jerry Latter at the Institute. I could describe that and substantiate the work if you are interested. The grants are still in the public record.